The 1505 has a output voltage control knob and can provide current up to 500mA. 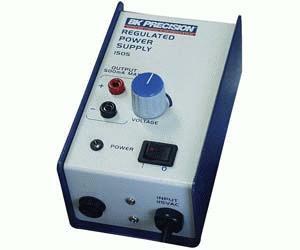 The power supply has a current limiter that protects the circuitry. The output automatically returns to normal after an overload.